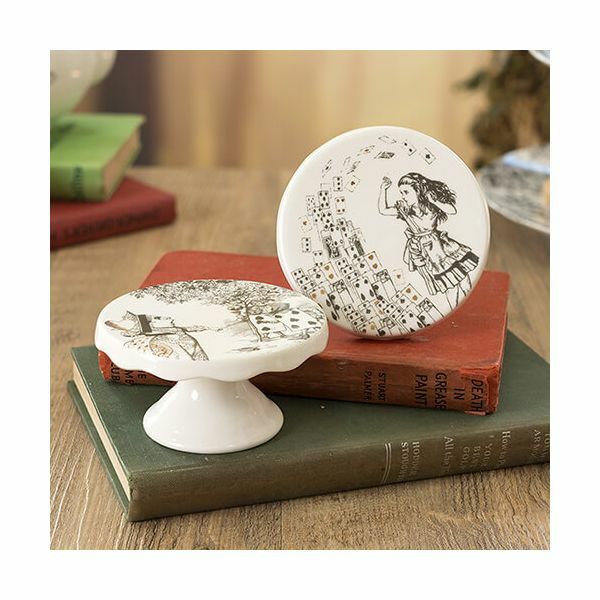 Beautifully made from fine china these Victoria & Albert set of 2 cake pedestals are illustrated with scenes from the original Alice in Wonderland book. 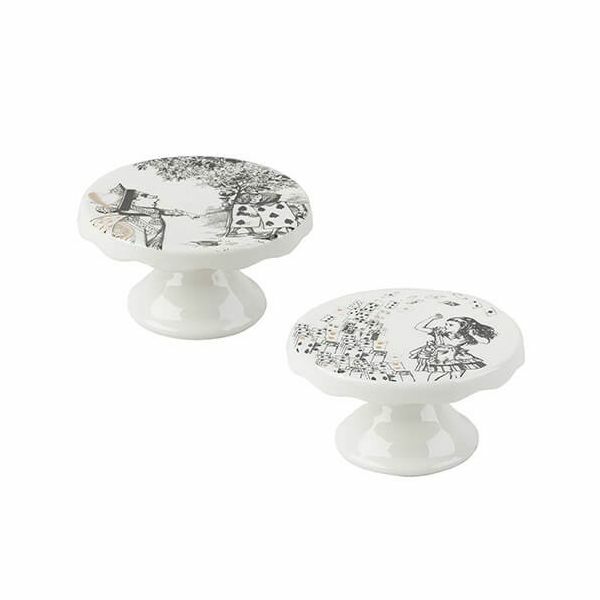 Showing Alice and the Queen of Hearts hand drawn with delicate gold decal these cake pedestals are perfect for serving delicious cakes. 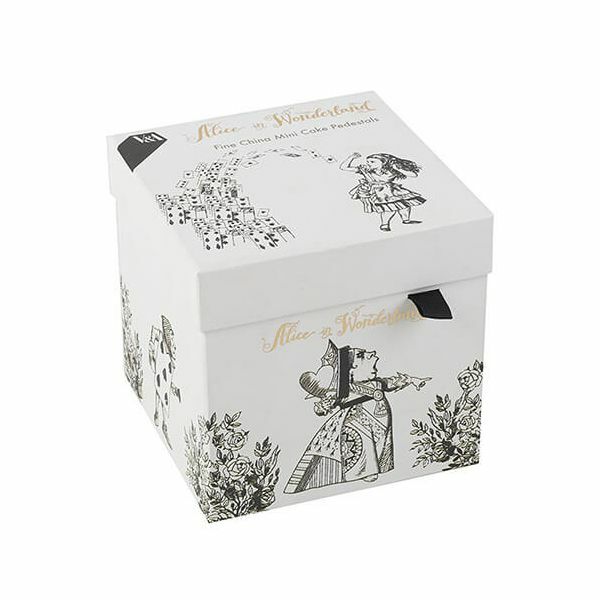 These stunning cake pedestals are presented in gorgeous illustrated packaging with a puzzle enclosed to begin your adventure.